Wet fire sprinkler systems are filled with water under pressure throughout the system that remains stagnant until one or more activation points occur. Upon activation pressurized water is expelled through the activated fire sprinkler head(s). 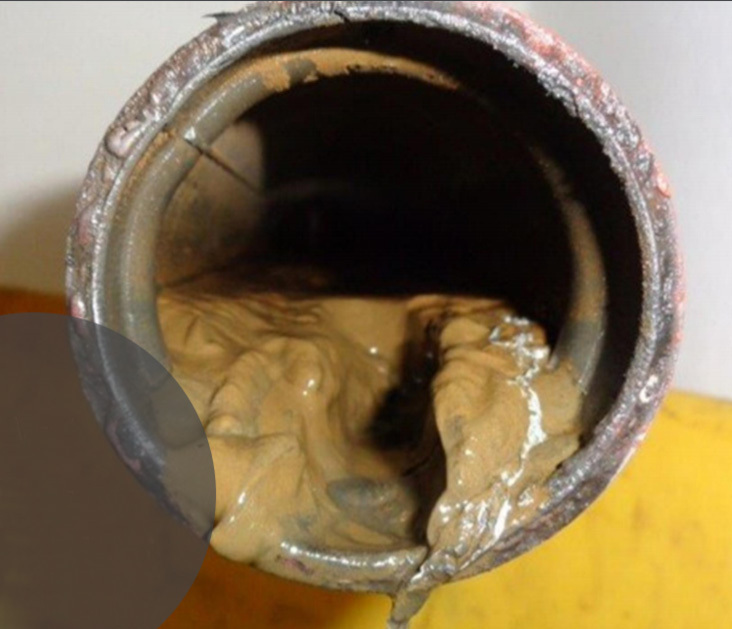 Internal corrosion is a growing and costly problem for these systems. 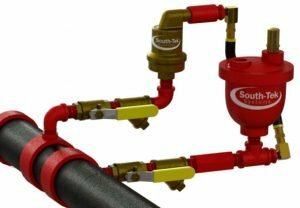 As a rule, air migrates through wet sprinkler piping to the highest points of the system, where it accumulates in pockets under compression due to the water pressure in the system. These “trapped air pockets” are comprised of 20.9% oxygen. Corrosion occurs where water and oxygen meet in a wet sprinkler system, leading to pinhole leaks, obstructions and costly repairs. (See: What causes pinhole leaks in fire sprinkler systems?). Another contributor to the corrosion of wet sprinkler piping comes from the highly oxygenated water that fills the system. The dissolved oxygen in the fill water reacts with the steel to form a layer of corrosive black iron oxide (magnetite) along the interior pipe wall. Additionally, dissolved oxygen can transfer out of the water and into the trapped air pockets to sustain the corrosion reaction where water and oxygen meet. What can I do to Prevent Corrosion in my Wet Fire Sprinkler System? 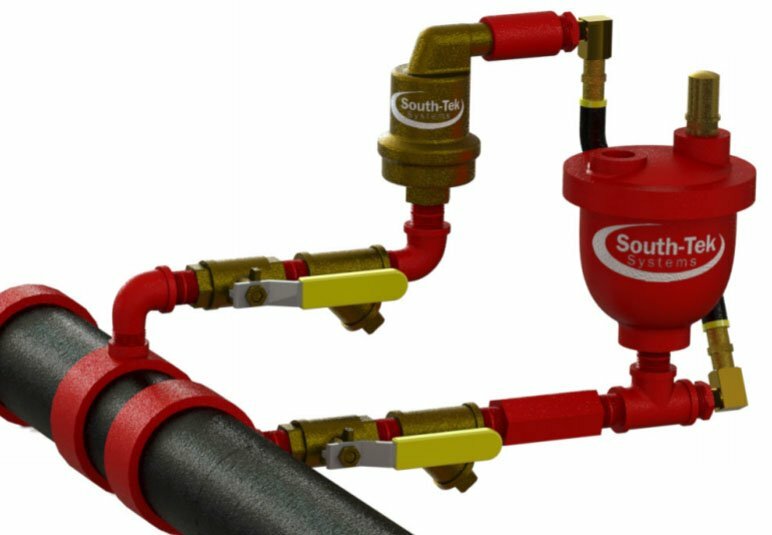 Our partners at South-Tek Systems manufacture three levels of corrosion protection equipment for wet fire sprinkler systems. 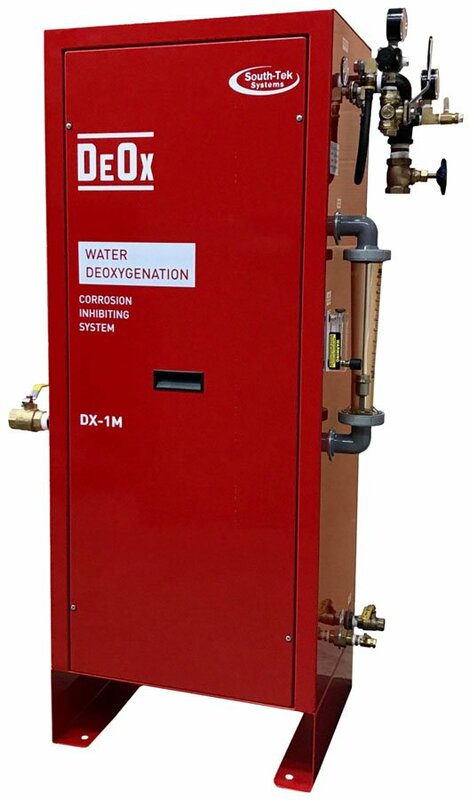 Level 1 – Baseline Defense Provided by South-Tek’s DeOx- Dual Vent O2 Release System. Installed at each high point of the piping system, this device displaces trapped oxygen from within the sprinkler piping, with water accumulation automatically draining back to the FPS through depressurization. Level 2 – Proactive Defense Provided by South-Tek’s DeOx-Dual Vent O2 Release System, combined with N2-Inert System. 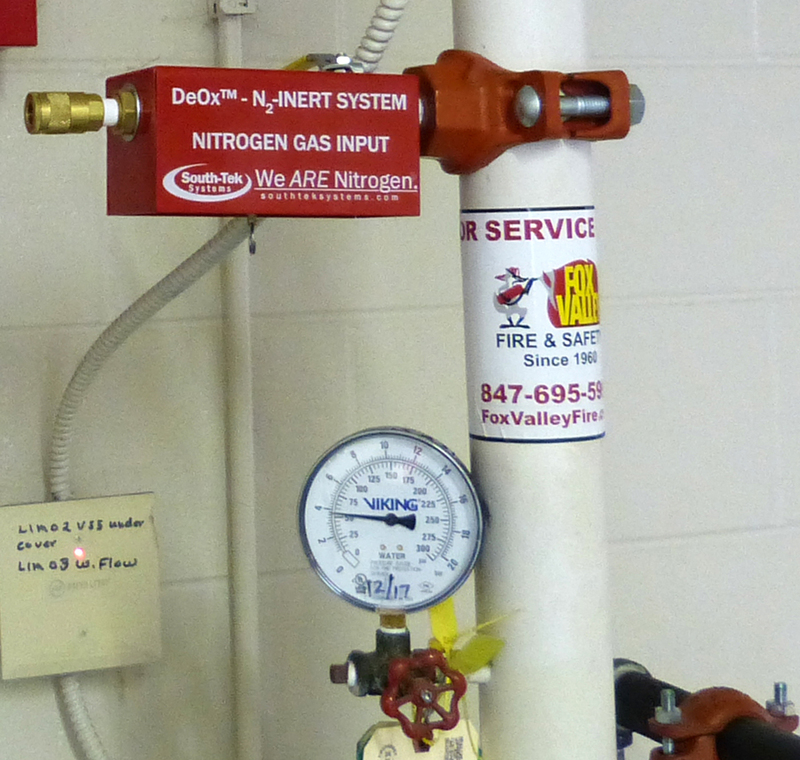 The N2-Inert system rapidly pre-fills any wet sprinkler system with ultra-pure nitrogen gas and effectively displaces up to 99.5% of the oxygen from within the system reducing the likelihood of undetected trapped air pockets. 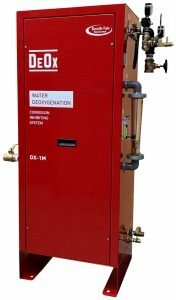 Level 3 – Ultimate Defense Provided by South-Tek’s DeOx – Water DeOxygenation System. After employing N2-Inert technology, the Water Deoxygenation System removed the dissolved oxygen and harmful bacteria from the fill water prior to it entering the wet sprinkler piping. Inhibits corrosive air-water interface throughout the entire piping network. It’s important to remember that any of the three levels of defense will not reverse corrosion, rather it stops corrosion from getting worse, and prevents it in a new system or any new piping. Our partners at South-Tek Systems manufacture the most efficient and cost effective engineered corrosion systems on the market. Their Water DeOxygenation System reduces oxygen content from 10 PPM to less than 1.0 PPM. Water containing less oxygen inhibits the corrosion reaction. Corrosion leads to property damage, ongoing pipe repair and replacement, decreased c-factor and sprinkler head blockage – potentially rendering the system inoperable in the event of a fire. For more information see South-Tek Systems Corrosion Inhibiting Solutions.